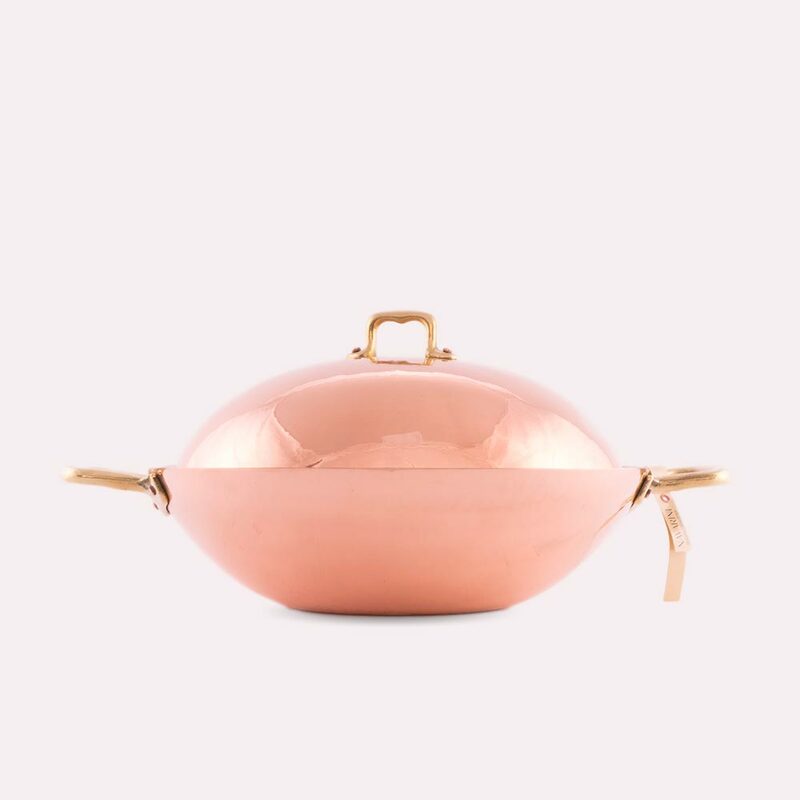 Our beautiful and 100% hand-made copper Wok is a testament of what true Italian craftsmanship is capable of creating from a single sheet of pure copper after countless steps of manual processes. Very few pieces of cooking equipment represent centuries-old traditions and cooking techniques like the WOK and since the Wok is both a pot and a pan, it is perfect for an almost endless variety of dishes. Creating this century-old kitchen staple with highest quality materials and old-world craftsmanship will provide you with ultimate cooking performance and results. Our large 14.2" copper Wok is perfect for all kind of tasks such as Quick stir-frying, deep-frying, steaming or even frying at high temperatures. Whether you are preparing Asian dishes, stir-fry noodle or rice dishes, Meat dishes such as sliced or diced meats, deep-fry meats, vegetables, fruit, pasta, soups, etc - this Wok is up for the task. 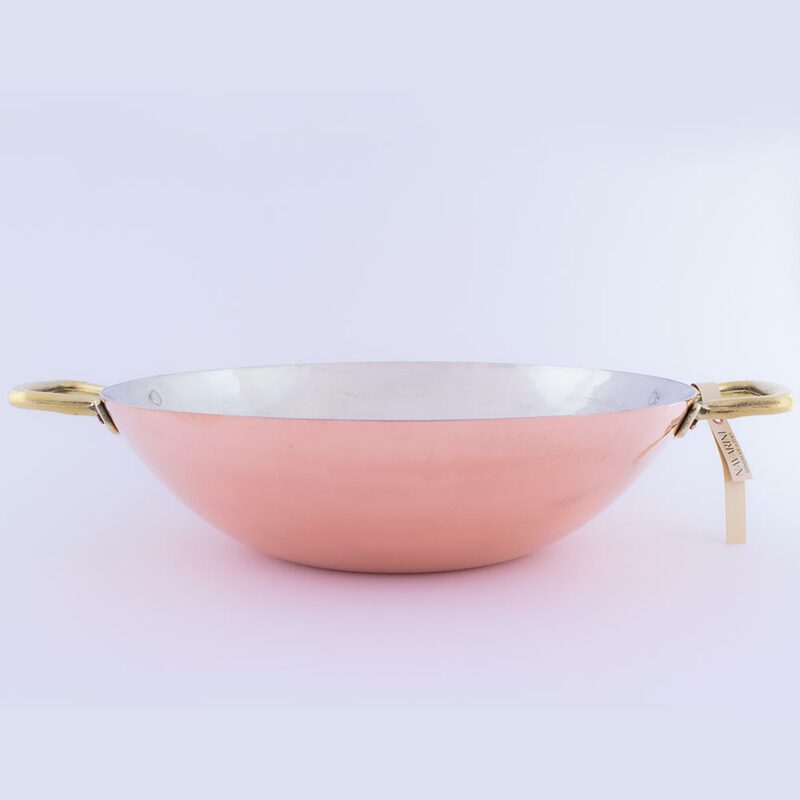 Hand-crafted in the Navarini workshop in northern Italy, our large 14.2"� Copper Wok resembles the traditional and more efficient design of Asian Wok's with the lid resting inside the WOK body rather than on the rim. Hence, ensuring a more efficient heat retention & circulation inside the large dome-shaped copper lid. 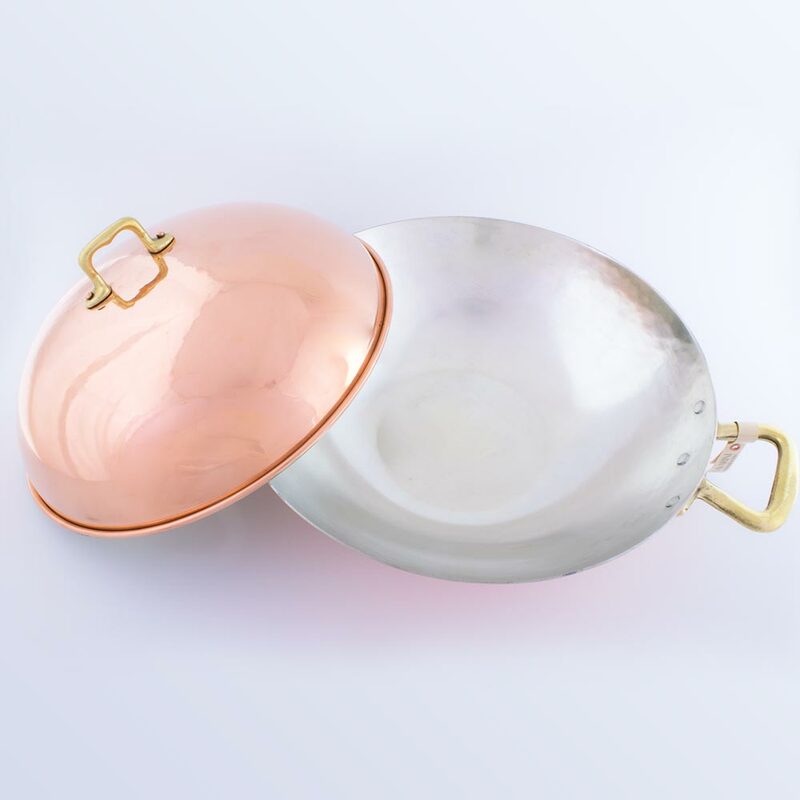 The copper used for the Wok is pure copper with a thickness of 2.5mm making this copper Wok equally suitable on gas as well as electric, glass or ceramic stoves. 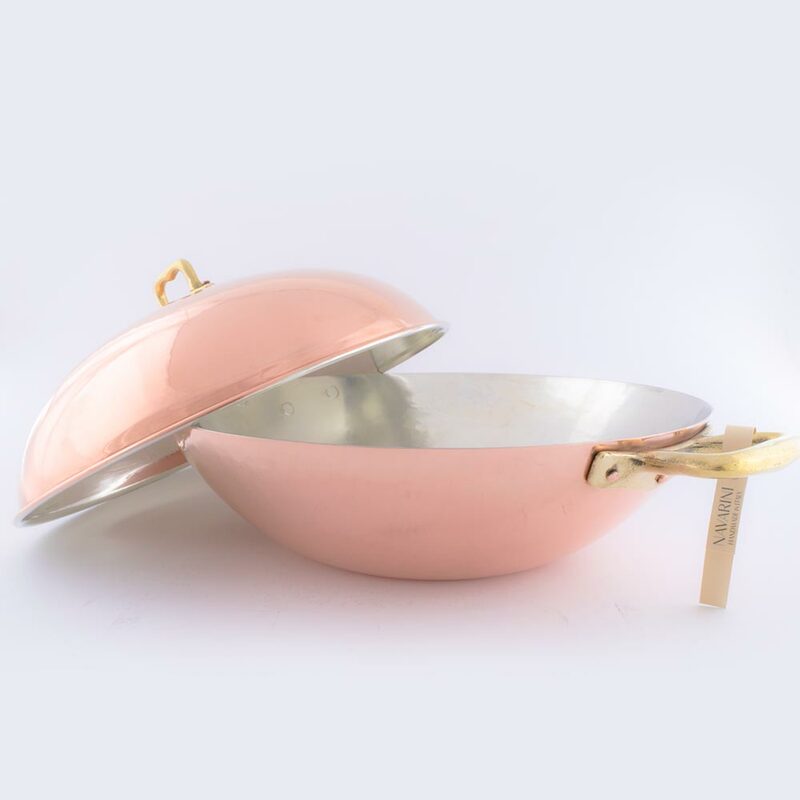 The base of the Navarini Wok will never create any unwelcome hot-spots, air-pockets or lose any of its superior heat conductivity as it is made from one sheet of copper. The copper used for our products will never create so-called inefficient air-pockets in the base that would allow heat to concentrate on one spot creating unwelcome hot-spots over time. The thermal heat conductivity as well as heat retention will not only be superior to stainless steel or aluminum cookware but will retain its high level of efficiency throughout the lifetime of your Navarini copper cookware. Copper conducts heat twice as fast as aluminum cookware, 5 times faster compared to cast iron and over 25 times faster than stainless steel cookware. This time difference becomes very obvious when it comes to heating up or changing the temperature during the cooking process. Changing the temperature on your stove translates into an immediate change in temperature in your copper cookware allowing cooking, brown or braising to perfection. 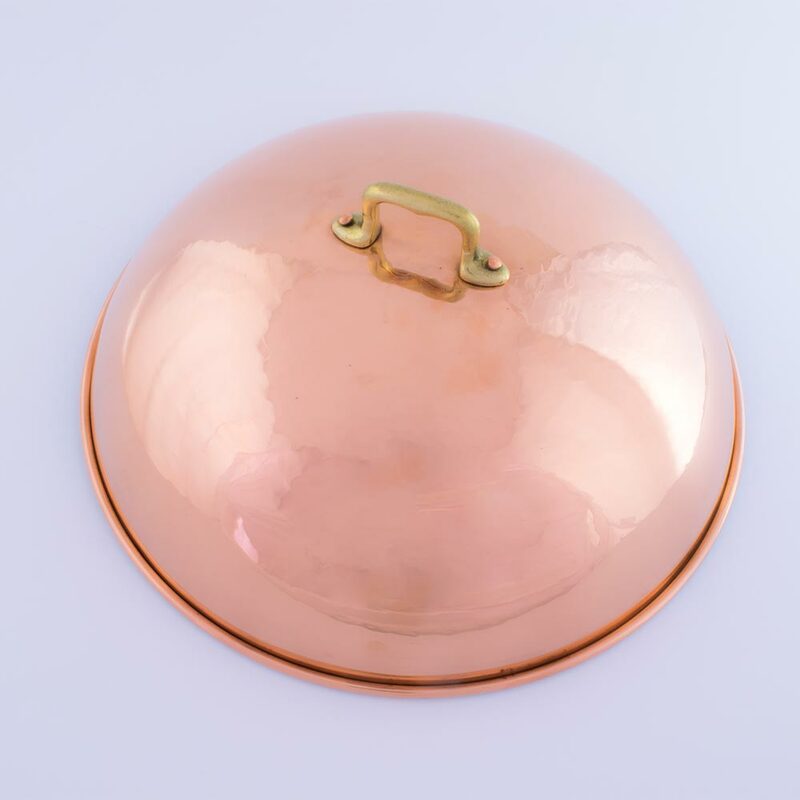 Our copper Wok features a large handle on either side of the Wok as well as one handle on the dome-shaped lid. We only use high-quality brass handles on any of our copper products as well as only secure them with pure copper rivets. The body handles are secured with 3 copper rivets each while the lid handle is secured with 2 copper rivets. The Wok including the lid is entirely hand-hammered. 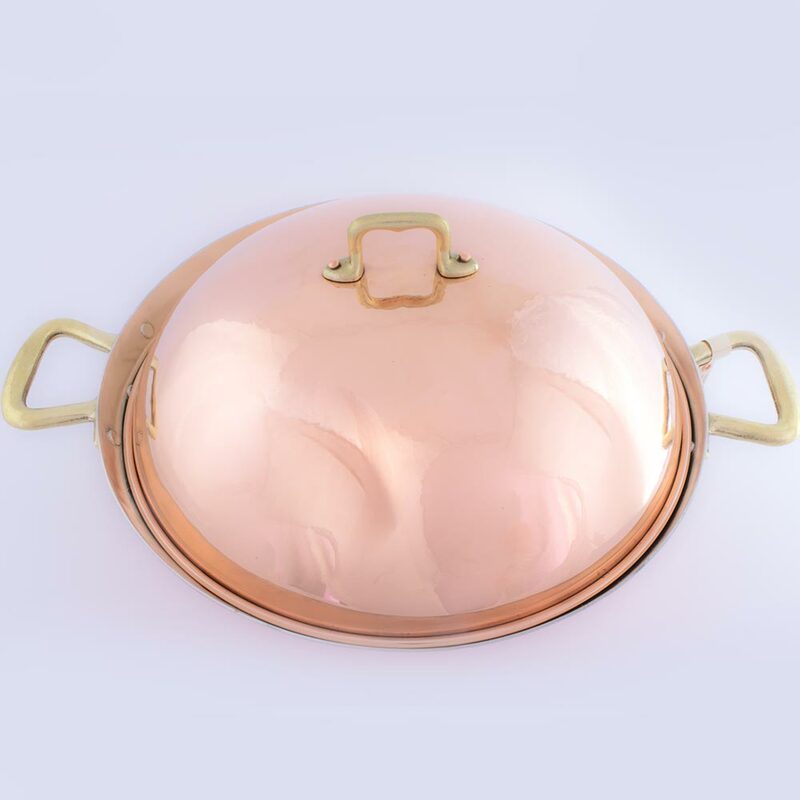 Hand-hammered copper cookware adds strength and enhances the structure & durability of the material. In addition, hand-hammered characterizes true craftsmanship. As most of our larger copper products, our copper Wok will arrive packed in a beautiful blue "Bottega Navarini" cloth bag. Not only a fitting bag for our beautiful copper products but already treasured by our customers as a sign of an original Navarini. What dishes can you prepare in a Wok? How to cook in a Wok? When stir-frying, small pieces of food are quickly fried in some oil. All the ingredients are constantly stirred using a wooden utensil. Cut the ingredients into thin sticks, slices or small cubes. Add some oil to the wok, and fry the ingredients in it, turning them constantly with a wooden utensil. The concave shape of the wok makes it easy to turn food quickly. Start by frying the food that takes the longest and keep adding the ingredients depending on their cooking time so that when you end everything finished cooking by then. You may also choose to fry each ingredient separately and combine everything in the wok once each is cooked.The concave shape of the wok makes it easy to turn food quickly. Start by frying the food that takes the longest and keep adding the ingredients depending on their cooking time so that when you end everything finished cooking by then. You may also choose to fry each ingredient separately and combine everything in the wok once each is cooked. Add pastes or dried and soaked mushrooms right to the hot oil for the fullest aroma, aromatic oils such as sesame oil are added at the end of your cooking. Thanks to the half-sphere shape and large surface area, our Navarini WOK is perfect for deep-frying, even when handling large quantities of food. This cooking method gives food a delicious crispy coating on your fried food and a juicy inside. To deep-fry, fill the wok at most one-third full with oil and heat it. Only use high-heat cooking oil or vegetable fats. You can check the temperature by inserting a wooden spoon into the oil- handle first - should you see bubbles starting to rise from the spoon handle your frying process can began. Be careful when inserting food into the hot oil- always place the food away from you into the oil. Be aware not to crowd your oil with foo much food- this will bring the temperature of your oil down and your food will soak in the oil rather than being fried in it. Turn the pieces during the deep-frying process. When your food appears done, remove it with a strainer skimmer. Place your food on a plate layered with paper towels to drain. Never use a lid when deep-frying, and never heat the oil/grease to a temperature of over 392� F / 200� C.